Exploring Natural Antibiotics: Protecting yourself against infection can be done naturally. But where do you begin? First and foremost, if you suspect you have an upper airway infection (you’re coughing, expelling mucus, are feverish, etc. ), now is not the time to experiment: You absolutely should be working with a doctor to treat the infection. That can include natural antibiotics for a viral infection, as viruses are ineffectively treated by prescription antibiotics. Prescription antibiotics only treat bacterial infections. If your current aim is to boost your body’s natural protection against infection, a variety of herbs and essential oils, as well as good old soap and water, can do wonders. The strongest natural antibiotics get their initial efficacy from soap and water. Hand sanitizers are popular, but many contain ingredients that neutralize all bacteria in your skin’s microbiome, which is not necessarily desirable for everyday use that is repeated and often. If you do use one, get something like Purell that is triclosan-free and fragrance-free: see below for why the FDA has ruled out triclosan. You can use this brief list of natural antibiotics as a starting point for an in-depth discussion with your health practitioner. Food Extracts. Certain food extracts contain antibiotic properties. For example, cranberry extract (especially whole fruit organic) is a useful remedy for urinary tract infection. Honey is one of the oldest known food-based antibiotics, dating back to ancient Egypt and Israel. Ginger is one of several spice and herbs that have been used as antibiotics. Garlic is famously antibacterial, though its mechanism is not well understood. Herbal Extracts. 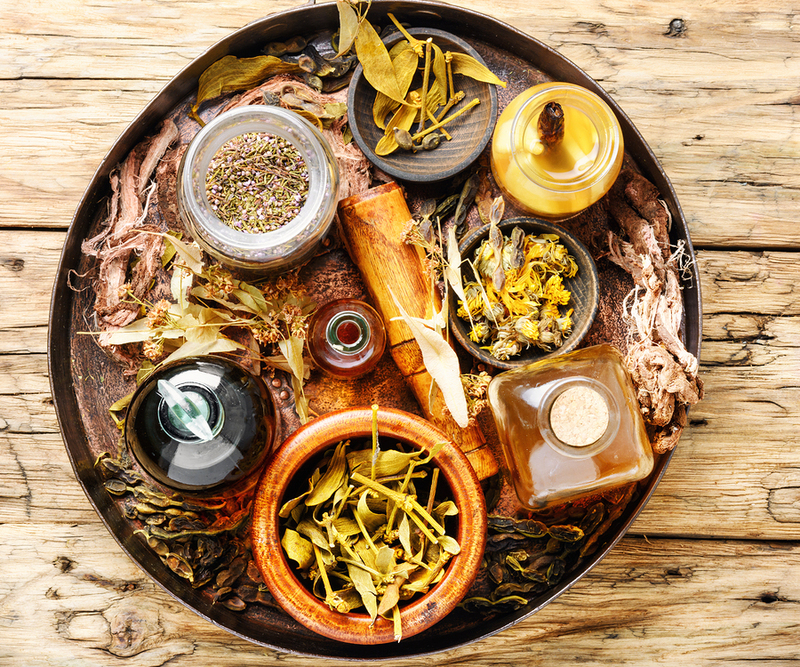 A variety of herbal extracts have antibiotic properties and are often used in tincture, capsule, powder (e.g., tea) form, depending on the herb and the intended use. Among the herbs are goldenseal, barberry, Oregon grape root, Echinacea, and Lomatium (here is an alcohol free extract). Essential Oils. Thyme, basil, tea tree, and eucalyptus oils have a variety of bug and germ fighting properties. I like essential oils to be certified organic: this is an essential oil set of six. Additionally, citrus fruit oils (lemon, lime, orange, bergamot, kaffir lime…also known as makrut lime, about which I did a Green Rx YouTube video and which grow easily and well) have health-protective benefits. Essential oils should never be consumed and should always be used in a diffuser or diluted with a base oil, such as almond oil. Here is a well-reviewed, long lasting, easy to use diffuser for essential oils. Soap and Water. The FDA has ruled that companies can no longer market “antibacterial soaps.” The risks of adding chemicals, including triclosan, to washing products are greater than any protection when compared to regular soap and water. How does soap help protect against bacteria? When you vigorously rub your hands and lather the soap, it loosens bacteria from the skin. Simple, effective, and all natural. There are many natural antibiotic remedies in addition to those listed but most don’t have a wide body of clinical research behind them. And bacterial infections can be fatal, especially in people over 50, if left untreated, especially lung infections such as bronchitis and pneumonia. Yes, antibiotic resistance is a problem. No, that is not the time to worry about it: if you have a persistent infection or are over 50 or diabetic, get to a licensed physician and tell him/her about it. Now. For other, more minor infections, it may take time before medical science catches up with the long history of use documented in traditional medicine. There is potential for drug-herb interaction, so it’s important to work with a health practitioner who is well trained in the pharmaceutical properties of botanical products.